Ininger has developed craft-brewing as a niche on behalf of the VtSBDC. As an advisor, he works with Vermont brewers through every phase of business development. He said that many entrepreneurs are surprised they need to bring money or collateral to the table. But he can help them explore the various financing options. Anyone entering the craft brewing industry needs to decide early on what business model they’re going to follow, Ininger said. Right now, he sees the greatest potential in the community-based brewing company. These businesses distribute locally and produce small quantities, sticking to a 7-barrel system or less. “In today’s market, how many more big breweries can we do? I’m not sure,” he said. But he feels like there’s still opportunity in Vermont for small, community-based breweries. 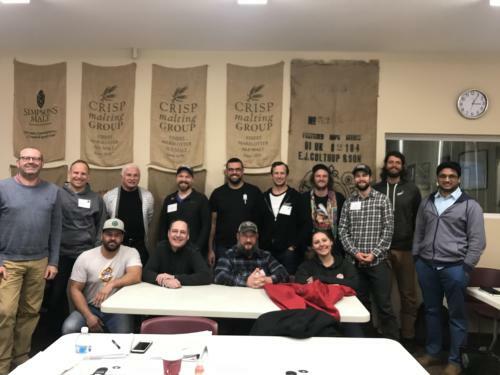 Ininger works with brewers with a range of goals, from people wanting to start a brew pub to brewers hoping to land a job with a big company. Lawson’s Finest Liquids is one of the VtSBDC’s longest-standing clients; the working relationship began when the owner was brewing beer out of a barn. Now he’s operating out of a brand new multi-million dollar facility. He’s also worked with small brewers like Ten Bends Brewery in Lamoille County. They offer five beers on tap, plus specialty releases in bottles, at their 1,400 square-foot brewery in Hyde Park, Vt. This is where Charley and the VtSBDC advising team can help.